Are there any movie locations you would like to visit? 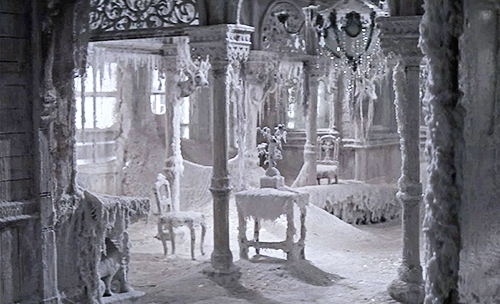 I’d have to actually go back in time to see this, but I would LOVE to visit the ice castle from Doctor Zhivago. I think it’s one of the most beautiful locations ever filmed. Do you share a birthday with a famous someone? The most famous person would be Grace Kelly, but my favorite birthday twin is Jacques Tourneur, the director of Cat People and I Walked With a Zombie! Which films are on the top of your to-watch list? I made a list of 30 movies to watch before I turn 30 and with two months to go I’ve only watched 9 of them. Oops!! So those would definitely be at the top of my to-watch list. The ones that I’m most excited about are The Sting, Out 1, and Red Desert. I have the whole list on letterboxd here. If you were to make a biopic, who would it be about? I would like to make one on Olga Horstig-Primuz. She was a French talent agent who represented icons like Brigitte Bardot, Charlotte Rampling, and Michele Morgan! 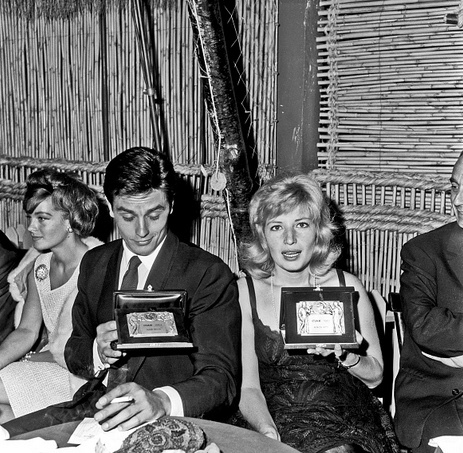 She even introduced Jane Fonda to Roger Vadim! I’m especially interested in her personally because she happened to represent both of my favorite actors, Dirk Bogarde and Alain Delon. Her autobiography is only available (as far as I know) in French so I’ve slowly been translating it with the help of an app, and then cleaning up the translation manually. Ideally I’d love to eventually do some more research on her and try to get something published in English. I think her story seems absolutely fascinating so far, and she had such a far-reaching impact on European cinema. And in a climate where female voices are struggling to be heard, I think it would be refreshing to see a biopic on a woman who had such a huge influence in the filmmaking community. Is there a film that appeals to your aesthetics? Off the top of my head I’d say Elevator to the Gallows. 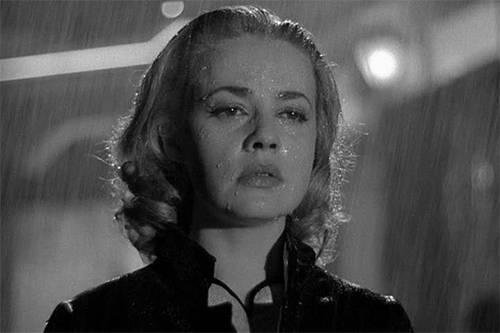 I just re-watched it last month, and Jeanne Moreau wandering aimlessly around Paris in the rain is everything I aspire to be. If I could live in that movie I would. There are so many others though, it really all depends on my mood. Lately the ennui of black and white French melodrama has swallowed me whole but catch me in a few months and I might say Sinatra’s Come Blow Your Horn is more up my alley. Who knows! If you could visit a specific era, which one would it be? The 1960’s! Hands down. No question. 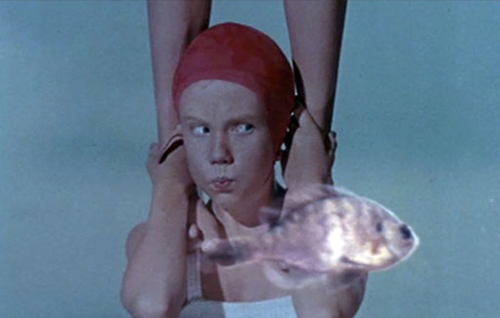 How did your interest in classic cinema evolve? It started with Audrey Hepburn in How to Steal a Million when I was 13, then quickly evolved into a full-fledged obsession within a year. 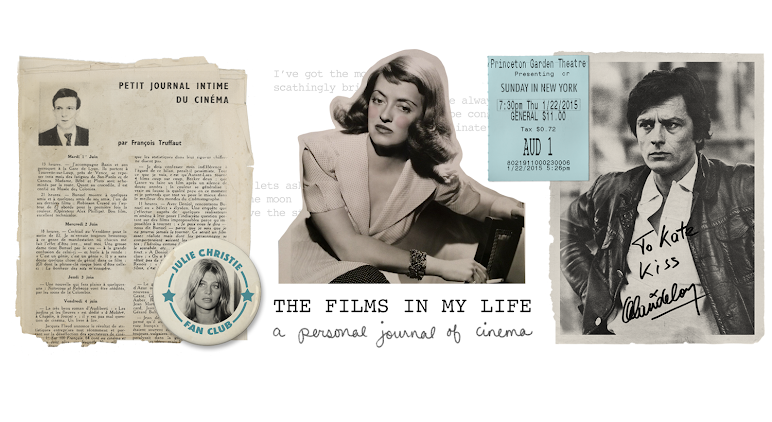 In high school I interviewed Robert Osborne for a school project, pasted photos of Robert Montgomery and Rudolph Valentino to my notebooks and made a website about the mysterious death of Paul Bern, Jean Harlow’s husband. Along the way my interests hopped from mainstream 50’s classics to pre-code cinema to 1960’s spy capers to mid-century British films before I settled on a pretty steady diet of pre-codes and foreign films from the 60’s-70’s in the last six years. Which film would you like to see on the big screen? 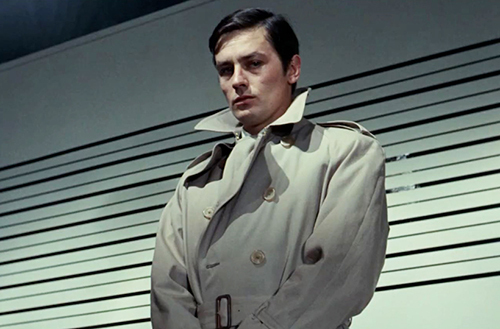 Le Samourai. I actually got to see it (IN PARIS, OMG!) 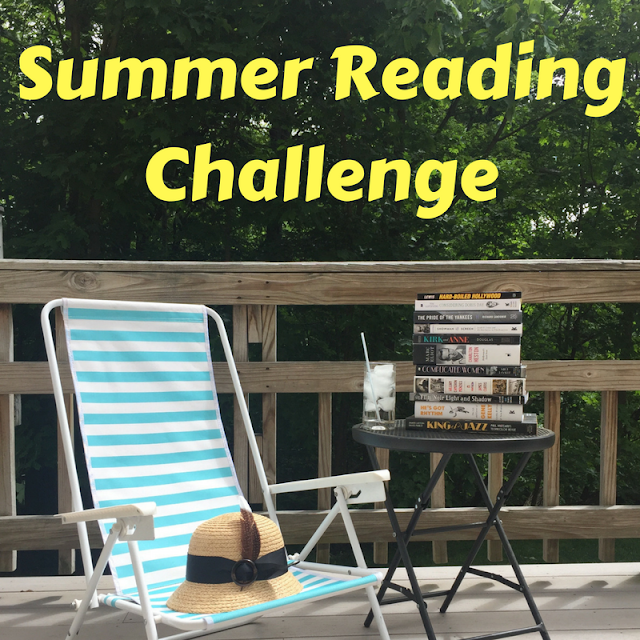 in July but it’s still at the top of my list. 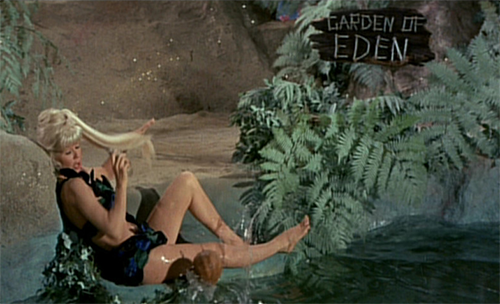 It’ll be celebrating its 50th anniversary next year so I’m crossing my fingers that it’s on the TCMFF schedule. I’m not holding my breath, though, since the 2017 festival theme is comedy and Le Samourai isn’t exactly funny. Is there a movie you wish you could have taken part in? Are there any actors or directors you would like to learn more about? Francois Truffaut. I just finished a pretty hefty biography on him but I’m still hungry for more. I love him as a director, but I love him even more as a person/movie fan. 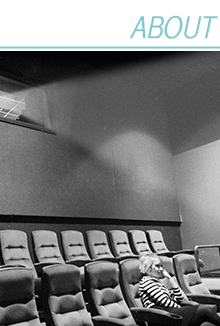 His love of cinema absolutely makes my heart burst. And from everything I’ve read so far he seemed like such a genuine, beautiful human being. I have a book of his correspondence and I think that’ll be my next read after I finish the book I’m currently working on. Is there a movie that has really yummy-looking food in it that you'd love to eat? Off the top of my head I can’t think of any, but I will have to come back and edit this answer later when something springs to mind. Because I KNOW there are movies that make me want to be able to eat the food the characters are eating. I think it might happen to me more often with tv shows than movies, though, simply because tv characters eat pizza or chinese takeout (two of my biggest weaknesses) way more often than classic film characters do, lol. What era do most of your favorite movies take place in? What two actors/actresses have you always hoped would make a movie together, but didn't/haven't yet? 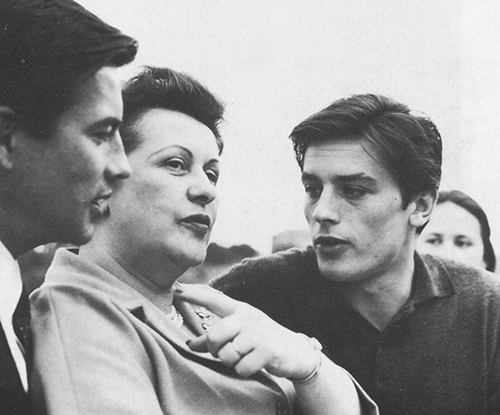 I would have loved to see a movie with Dirk Bogarde and Alain Delon together. Dirk was originally supposed to play Trotsky opposite Alain (as his assassin) in The Assassination of Trotsky before Richard Burton got the role. Burton is fantastic, but I would have loved to see that combination! If money and time and supplies (and crafting ability) were not considerations, what movie character would you love to cosplay or dress up like for Halloween? 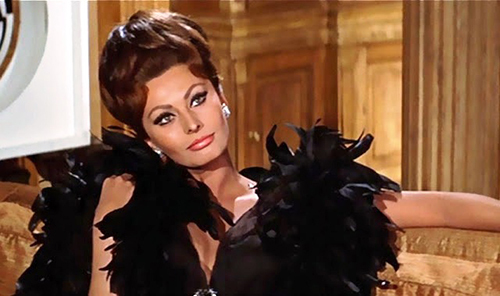 Maybe Sophia Loren’s character in Arabesque. But only if I get to do like seven costume changes throughout my Halloween party so I don’t have to narrow it down to one outfit! Have you ever cosplayed or dressed up like a movie or TV character for Halloween? Yes! 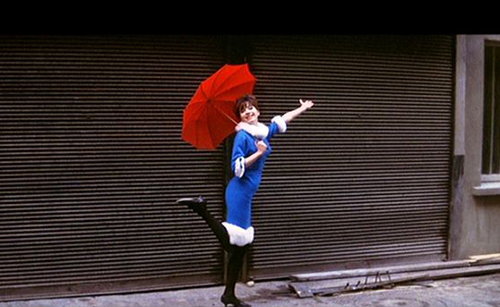 I can’t remember if I’ve ever dressed like a movie character (surprisingly!) but in the last few years I was Angela from The Office, Dana Scully from The X-Files, Princess Unicorn from The Office and Helena from Orphan Black. Usually I have my costume picked out almost a year in advance but with only 2 months to go until Halloween I’m still totally stumped on what to do this year! What movie would your friends/family be surprised to learn you truly enjoyed? hmm… I’m going to go with PS. I Love You. It’s the worst kind of sappy romantic drama/comedy/whatever that usually doesn’t appeal to me AT ALL. It has a happy ending. It’s from 2007. Usually the only way you’ll get me to watch something like this is if I have a crush on the lead actor, but I don’t even like Gerard Butler that much. But for some reason I’ve seen this movie like four times, and I enjoy it every time. I DO NOT EVEN KNOW WHY. What's one book you hope no one ever makes into a film? A lot of my favorite books have already been turned into movies, so I’m just going to list one that I have no intention of ever watching — The Bell Jar. When I read it, it felt (to me) like a story that was too sacred to be moved away from the page. I don’t want to see an actress playing Esther. I think if it *had* to be made into a movie, it’s currently in good hands and hopefully it will turn out okay… but I have zero interest in seeing it myself. Do you know the Wilhelm Scream when you hear it? NOOOOOOOOO!!!! But I wish I had an ear for it! When a character onscreen has to hold their breath, to you try to hold your breath to match theirs? Yes!! Sometimes I even hold my breath when the characters don’t have to. I get physically wrapped up in movies way too often, haha! What upcoming movies (or TV series) are you excited about? Right now I’m excited to see The Light Between Oceans, and my local movie theater is showing Journey to Italy in November so I’m excited about that! TV wise, I’m looking forward to Bill Nye’s new Netflix show that’s coming out next year. And I’m hoping to see what all the fuss is about and settle down to binge-watch Stranger Things sometime soon. I’m ashamed to say this since I’m a movie blogger who always feels like nobody is reading her blog but… I don’t really get to read movie blogs or reviews as often as I’d like to. I need to rectify that and then come back and update this with a list or something! And thank you again to Nicole and Hamlette! It might seem silly to say this, but the fact that you chose my blog (and the fact that you visit and read and comment!) means an awful lot to me, more than I can say, and I'm incredibly grateful. Thank you! Also, I usually read your blog on my phone (which I cannot comment from, because Blogger hates when I attempt to switch between my myriad of Google accounts on mobile), and so I didn't see the redesign and it looks GURRREAT! Very fun reading your answers to all those! Love your Dana Scully outfit! I used to get my hair cut in a bob like hers for many years back in the 90's. I would love to have seen a movie with Dirk Bogarde and Alain Delon! John Wayne. He probably brought lots of books with him, so we wouldn't be bored for a long time. Also, he did know how to do a fair number of useful things like fishing and sailing a boat. Also, except when drinking, he was a quiet guy, so it's not like I'd be super annoyed by some chatterbox. Emma Thompson! She is such an intelligent, fascinating, funny person. Illya Kuryakin, as played by Armie Hammer in The Man from UNCLE (2015). Well, I would happily watch a movie in which Illya Kuryakin (Armie Hammer) and Napoleon Solo (Henry Cavill) are stuck on a desert island. I expect that they were on a top secret mission to board an enemy submarine and rescue a kidnapped dignitary, but it went horribly awry, and now they've washed up on a deserted island with nothing but each other and their witty wits. Much bickering ensues, along with both Illya and Solo one-upping each other with their survival skills. All goes relatively well until Solo's surprise dessert of bananas en flambe sets all the banana trees on fire (for a special agent, Solo's not having a very special day), but that serves as a beacon for Mr. Waverly to rescue them with his helicopter. Gaby has already rescued the dignitary while the boys were stuck on the island, but she's very happy to have them back because their next mission is in the Arctic and she's not very good at driving dogsleds. Haha! How about Branagh's Hamlet since I already have it with me? Save Joel McCrea! DKoren would never forgive me if I didn't. I probably would just jump overboard and swim to some other bits of wreckage. The Black Stallion. Every time. Hamlette! How dare you answer these ahead of me! LOL! I've been working on this for... well, a few weeks now. Sigh. Okay, I'll post mine here too. DKoren, I was actually thinking about posting them on my blog as well -- they're awfully good questions! Yeah, I think I will stick with doing it on my blog, as I have pictures. Oh my gosh, I want this Napoleon/Illya desert island movie to be real SO BADLY!! Well, either we have to start a petition to get this movie made, or I'm going to have to break my "I only write westerns" vow and write this as fanfic. ahhh I would definitely read that fanfic!